The New York Giants were soundly beaten by the Pittsburgh Steelers 24-14 on Sunday at Heinz Field in Pittsburgh, Pennsylvania. With the loss, the Giants record fell to 8-4. The defeat all but officially ended the Giants division title hopes. The problem for the Giants remains an offense that has struggled to score points all season. The Giants were shutout in the first half and scored a garbage touchdown very late in the game to make the score look more respectable than it actually was. The Steelers out-gained the Giants in first downs (20 to 16), total net yards (389 to 234), net yards rushing (117 to 56), net yards passing (272 to 178), and time of possession (34:08 to 25:52). The Giants offense turned the football over twice and continued to struggle on third down (3-of-11, 36 percent). The Giants were also 0-for-3 on 4th down. Not counting a kneel-down before intermission, the Giants had four offensive possessions in the first half. They resulted in a safety, interception, and two punts with the Giants only picking up five first downs and 91 net yards of offense. Meanwhile, the Steelers punted twice and managed three scoring drives (one touchdown and two field goals) in the first half. Pittsburgh got on the board late in the 1st quarter when left tackle Ereck Flowers was called for a holding call in the end zone, resulting in a safety. After the free kick, the Steelers drove 38 yards in seven plays to set up a 44-yard field goal to go up 5-0. A big turning point in the game came on the Giants third possession. New York had driven from their own 29-yard line to the Steelers 9-yard line. On 2nd-and-4, quarterback Eli Manning’s pass intended for tight end Larry Donnell was intercepted at the 2-yard line and returned 58 yards to the Giants 40-yard line. Three plays later, quarterback Ben Roethlisberger found wide receiver Antonio Brown for a 22-yard score. (The Steelers 2-point conversion attempt failed). The dramatic swing led to the Steelers now being up 11-0. After a three-and-out by the Giants on their fourth, the Steelers ate up the rest of the first half with a 15-play, 64-yard drive that resulted in a 34-yard field goal. The Steelers converted on 3rd-and-17 on this possession. At the half, Pittsburgh led 14-0. After both teams exchanged punts to start the 3rd quarter, the Giants drove deep into Steelers territory on their second possession of the second half. But Manning’s 4th-and-1 pass from the Steelers 3-yard line intended for tight end Will Tye was incomplete, and the Giants turned the football over on downs. 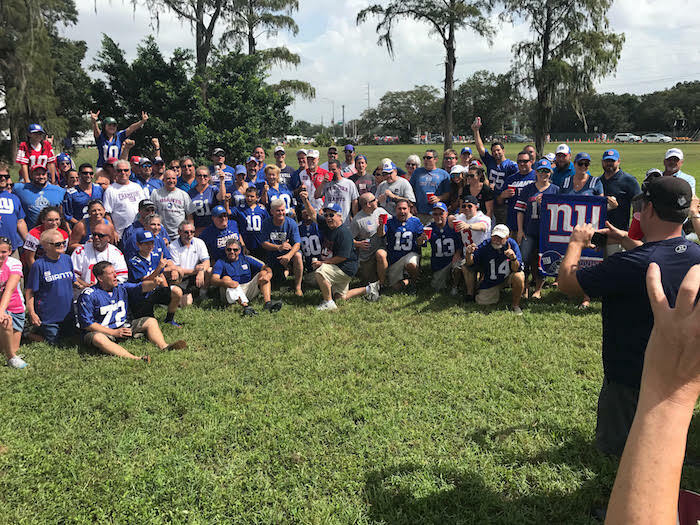 Nevertheless, the Giants got the ball right back when linebacker Jonathan Casillas forced a fumble that cornerback Eli Apple recovered at the Steelers 17-yard line. Two plays later, Manning hit running back Rashad Jennings for a 13-yard touchdown pass. Despite everything that had gone wrong up to this point, the Giants found themselves only trailing 14-7. Unfortunately, it was at this point that the defense gave up their longest drive of the game. Pittsburgh drove 88 yards in seven plays to take a 21-7 lead when Roethlisberger threw a 20-yard touchdown pass to tight end Ladarius Green. The Giants went three-and-out on their ensuing possession but got the ball back late in the 3rd quarter when Apple intercepted Roethlisberger at the Giants 47-yard line. New York could not take advantage as Manning’s 4th-and-13 pass from the Steelers 35-yard line intended for wide receiver Sterling Shepard was intercepted at the 6-yard line. The Steelers picked up one first down and punted. The Giants got the ball at midfield but again could not take advantage. Manning was sacked on 4th-and-9 from the Steelers 24-yard line. The Giants were now 0-for-3 on 4th down conversion attempts in the second half. Pittsburgh ate up 5:17 on the ensuing possession, driving 48 yards in 11 plays to set up a 38-yard field goal with 1:39 left to play. 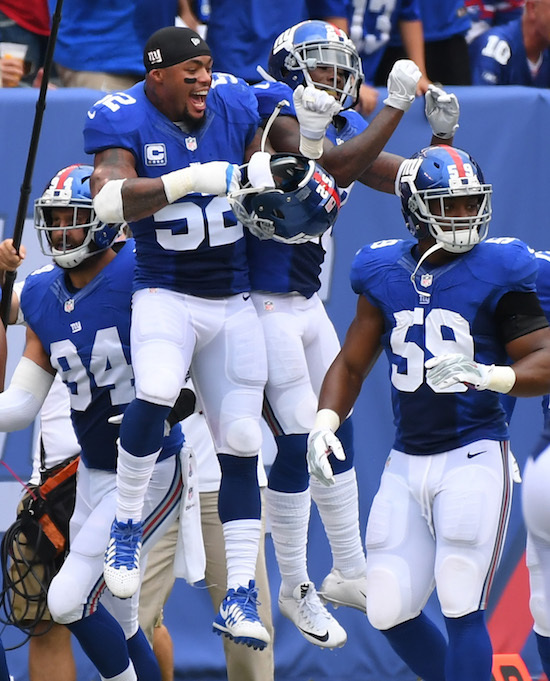 After a 38-yard kickoff return by running back Bobby Rainey, the Giants drove 52 yards in five plays to put up a late touchdown on the scoreboard. Manning hit Shepard for the 1-yard score and a more respectable, but misleading, 24-14 final result. Offensively, Eli Manning finished the game 24-of-39 for 195 yards, 2 touchdowns, and 2 interceptions. He was sacked twice. His top target was Odell Beckham who caught 10 passes for 100 yards. No other player had more than 34 yards receiving. Running backs Paul Perkins and Rashad Jennings only rushed for 57 yards on 13 carries. Defensively, the Giants allowed running back Le’Veon to rush for 118 yards and catch another 64 yards. Tight end Ladarius Green caught six passes for 110 yards. The Steelers had five scoring drives (two touchdowns and three field goals). Defensive tackle Damon Harrison led the team with nine tackles. Jonathan Casillas forced a fumble that Eli Apple recovered. Apple also had the team’s sole interception. Defensive end Olivier Vernon had both of the Giants two sacks and also had two tackles for losses. Safety Landon Collins defensed three passes. 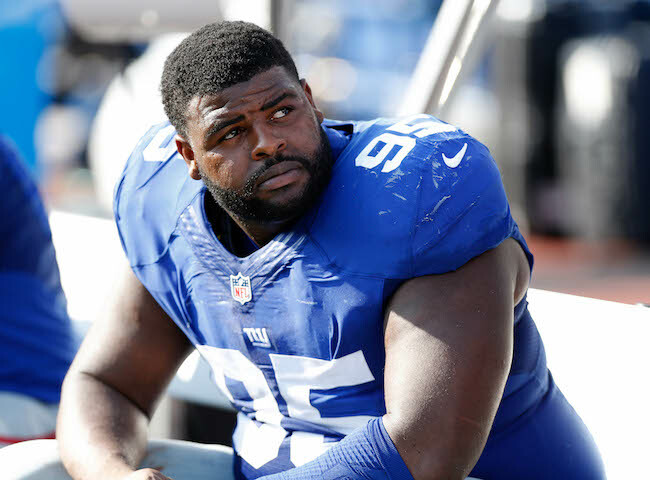 Inactive for the game were left guard Justin Pugh (knee), safety Nat Berhe (concussion), linebacker Mark Herzlich (concussion), defensive end Owamagbe Odighizuwa (knee), offensive lineman Adam Gettis, wide receiver Tavarres King, and quarterback Josh Johnson. Injured in the game were defensive end Jason Pierre-Paul (groin), defensive tackle Johnathan Hankins (bruised thigh), cornerback Coty Sensabaugh (ribs), and wide receiver/returner Dwayne Harris (ankle). 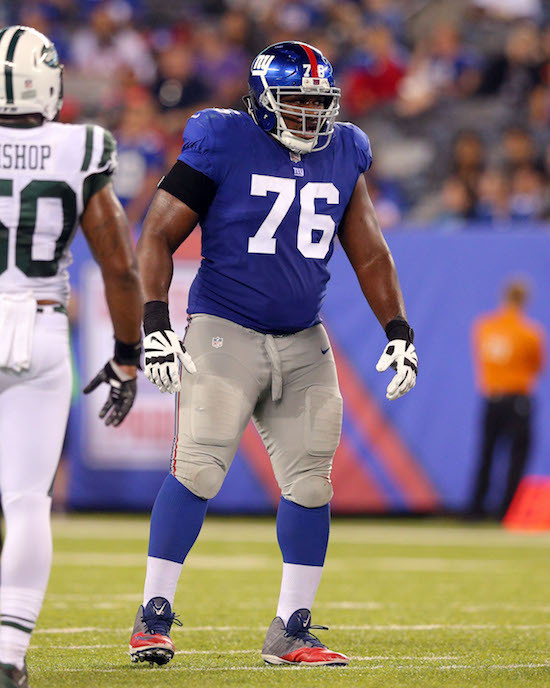 Hankins returned to the game. Pierre-Paul will have an MRI on Monday. 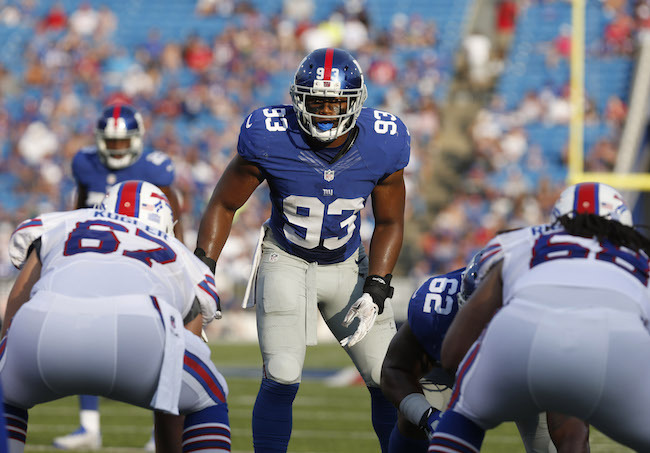 On Saturday, the New York Giants signed linebacker Deontae Skinner to the 53-man roster from the Practice Squad. To make room for Skinner, the team waived center Shane McDermott. 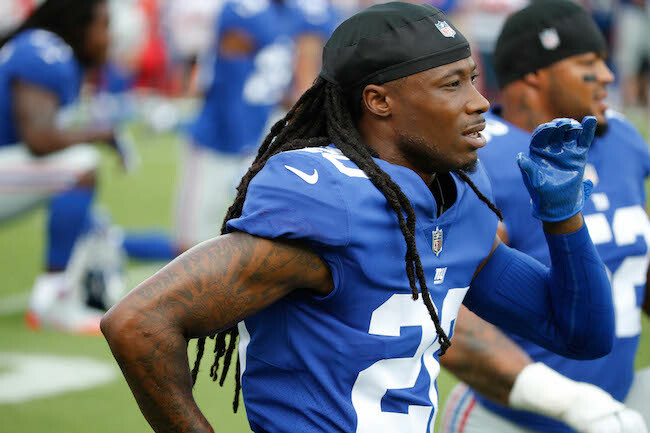 Skinner has spent time on both the Giants 53-man roster and Practice Squad this year. Skinner was originally signed as an undrafted rookie free agent by the New England Patriots after the 2014 NFL Draft. He has spent time with the Patriots (2014-2015) and Eagles (2015-2016), the latter waiving him in August. McDermott has spent two stints on the team’s Practice Squad and was signed to the 53-man roster in November. McDermott originally signed by the Dallas Cowboys as an undrafted rookie free agent after the 2015 NFL Draft, but the Cowboys cut him in September that year. After a brief stint on the Panthers Practice Squad, the Giants signed McDermott to the Practice Squad in November 2015. Marshall Newhouse Has Partial MCL Tear? 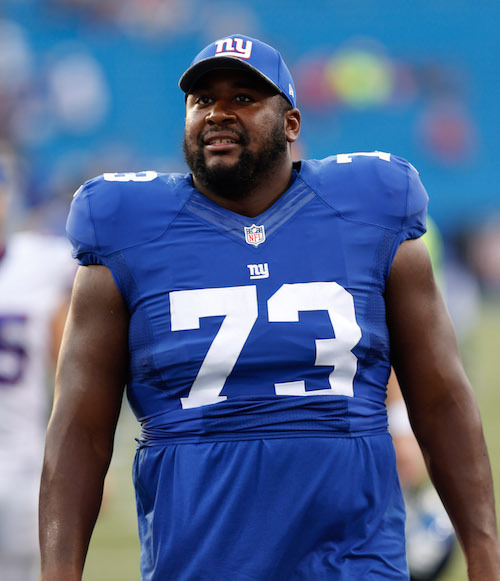 The New York Post is reporting that offensive lineman Marshall Newhouse partially tore the medial collateral ligament (MCL) in his left knee during Sunday’s game against the Chicago Bears. Newhouse told The Post that he hopes to be able to play with the injury. 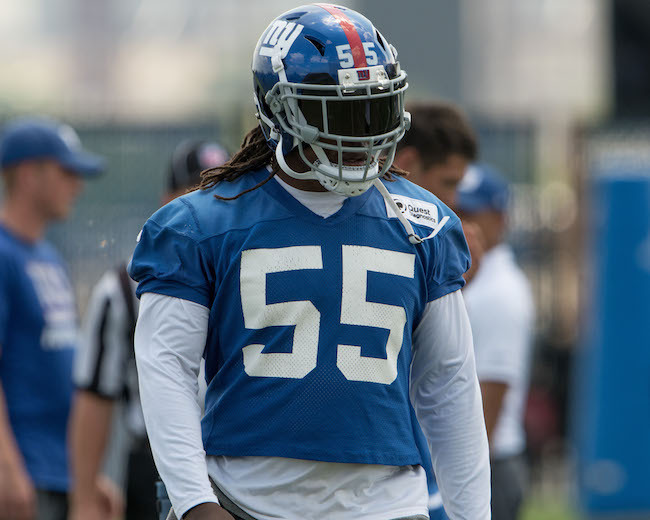 NJ.com is reporting that the New York Giants have re-signed linebacker Deontae Skinner to the Practice Squad and terminated the Practice Squad contract of quarterback Logan Thomas. Skinner was signed to the Practice Squad in September and October 2016 and then to the 53-man roster in October 2016 before being waived on Saturday. Skinner was originally signed as an undrafted rookie free agent by the New England Patriots after the 2014 NFL Draft. He has spent time with the Patriots (2014-2015) and Eagles (2015-2016), the latter waiving him on August 22. Skinner is a big, instinctive linebacker with decent agility but who lacks speed. Thomas has been added to and released from the Practice Squad multiple times in 2016. Thomas was originally drafted in the 4th round of the 2014 NFL Draft by the Arizona Cardinals. 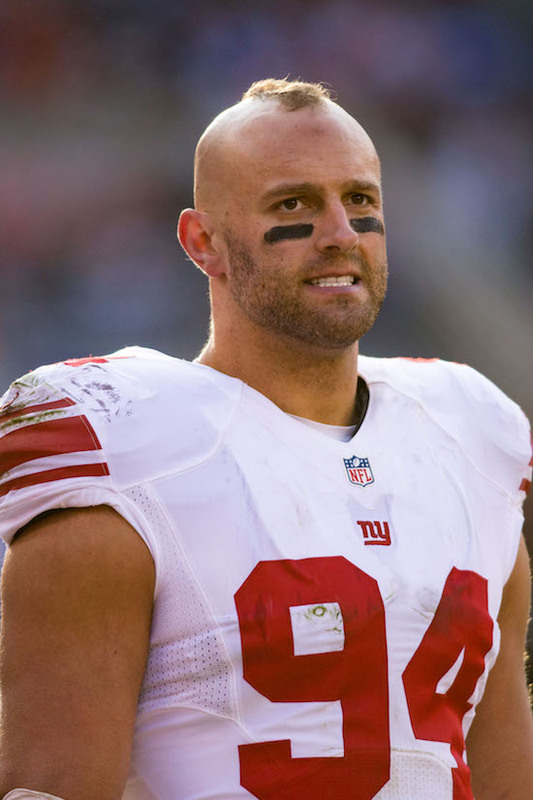 The Dolphins claimed Thomas off of waivers from the Cardinals in September 2015 and the Giants claimed him off of waivers from the Dolphins in June 2016. Thomas has only played in two NFL games, completing one pass in nine attempts for an 81-yard touchdown. The players return to practice on Wednesday in preparation for Sunday’s away game against the Cleveland Browns.